Usually, Update Day is on the last Friday of the month, but even though last Friday really sneaked up on me, I actually did remember. It's just that I've been so crazy busy this month that I had my first mini burn-out on Friday and that lasted straight into the weekend. Yes, I'm fully aware that having the first burn-out of the year within the first month of the year has to be some sort of record. But let me explain. The problem with that was... I need to work a certain number of hours at the contract job to ensure I get the monthly income I need to make rent etc. and my editing work just seriously started cutting into my work hours. Except... if I only did my editing work that came in, I wouldn't make rent. So there was the problem. I didn't want to let anyone down, but I also didn't want to not get my contract hours in. So.... I started working between 18 and 20 hours per day (including weekends) to get everything done. I managed that, but then had to increase my daily contract work hours to make up the shortfall because the editing still took up most of two weeks. See, when I got started, I really stressed how fast I can work and how relatively inexpensive I was. It was my way of getting into the market. It was good, and for quite some time, I never felt the impact. First, because I didn't have anything else to do. Then because I basically entered a quiet editing time while working on my contract. I used to be somewhat worried about making this change. What if my clients didn't come back? What if I didn't get any more orders? But the last month has shown me that I'm willing to only work on my contract rather than 1) burn out because I have too much to do or 2) take a knock on my income because I wanted to keep my editing prices low. So that's basically what my January was about. How about you? Are you also working on changing things this year? How is it going? You had to adjust somewhere or you'd never sleep. You're more experienced - raising your rate is reasonable. We want to do it all but we can't. I'm set up on Fiverr and I've had one client from it, but they take WAY too much money. I have to charge higher there than on my website just to compensate. I get enough work from clients on my own anyway. Most of my clients are from Upwork, and about a quarter of the same amount is from Fiverr. I'm actually not a fan of Fiverr. Other than the high rates, they seem to be really punitive. Still, I don't really want to start a dedicated website just for my editing services, because I actually like the idea that I don't have to chase after my clients to make them pay me my due, for example. 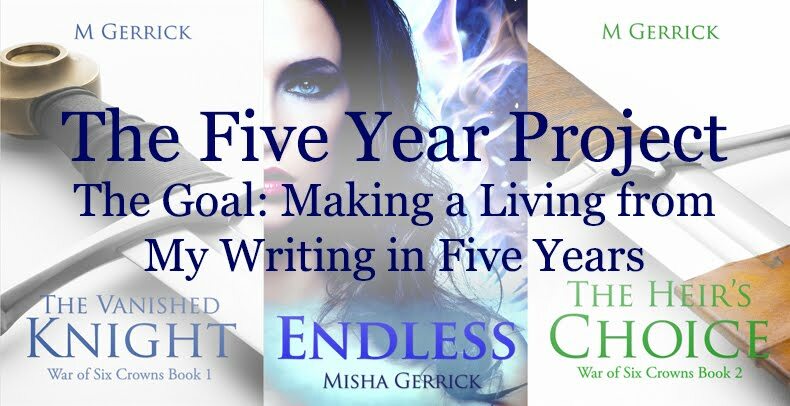 Doing what is best for you is essential Misha. Sorry you got burnout. I checked it out. Your rates seem very low. It's hard work; you deserve to be compensated fairly. Diane does make a good point...setting up a website and advertising on your blog could help cut out the middle man and help you keep more of what you earn. Thanks Elizabeth. I'll definitely keep that in mind, because I might make more changes if I feel I need to, so it's nice to know I have some leeway. But then USD always looks a lot to me because of the currency difference and also the differing value for money here. Thanks Carole. I'm getting there, but it's basically me nursing myself along to this weekend so I can properly rest. Know exactly where you're coming from. I've experienced some pretty bad burnouts over the years, and always knew something had to change whenever one happened. Am more mindful of what I can handle now, and try to price my work more fairly, too. (The latter is still a struggle sometimes, though, thanks to my insecurities.) Your new rates seem very reasonable to me. Glad you're putting yourself first and making changes that are more fair to you! With regards to pricing, I'm trying to look at it from an economics point of view. I have high demands on my time, so naturally, the value/price of that time increases. Sorry that you had your first burnout of the year so soon into the year, but I'm glad you're adjusting and taking action to take care of yourself. That's so important. Yeah. It was a pretty harsh lesson, but I'm guessing it's one I needed to learn.